The post-Christmas blues are upon us (although soon to be over), and most people are looking at eating healthier, working hard at gym and avoiding drinking. We at Season’s Eatings found a recipe that was both indulgent, reasonably healthy and makes use of something seasonal as a pick-me-up to look forward to if you need a distraction from your resolutions. 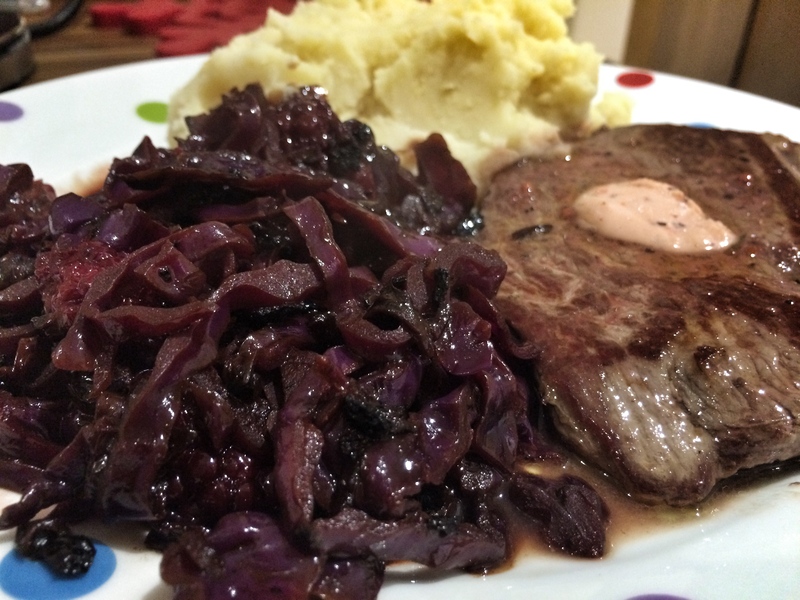 This blackberry braised red cabbage recipe from BBC Good Food served with venison is just that. Both red cabbage and blackberries are great seasonal foods that compliment each other well. The acidity and sharpness cuts through the game flavour. Served with buttery mashed potato, this makes for a delicious weekend dinner for two. Melt the butter in a large saucepan over a low-medium heat, add the onion and cook slowly for 10 mins until really soft. Add the cabbage, vinegar, sugar, mixed spice, half the jelly with a pinch of seasoning . 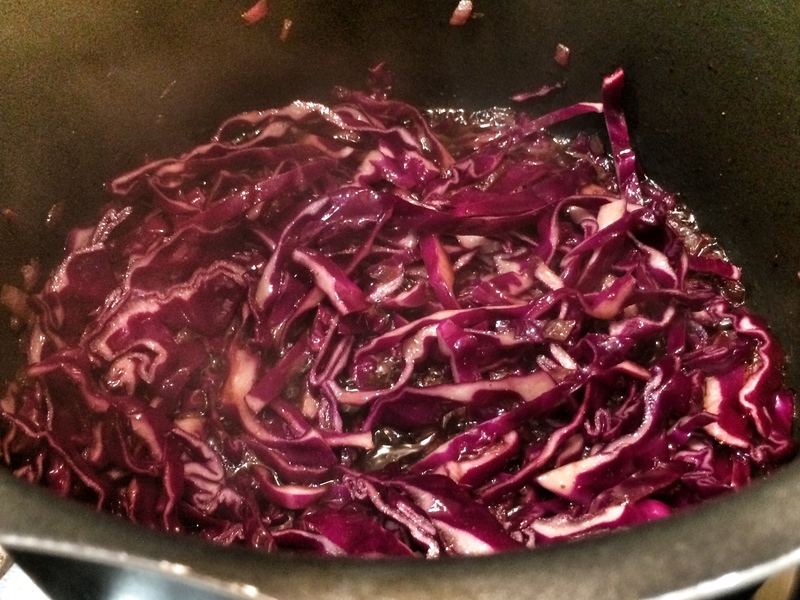 Bring cabbage mixture to the boil, stir, then cover with a lid and turn the heat down as low as possible. Cook for 30 mins over a medium-low heat. Check on the cabbage every 5 – 10 minutes. If it starts to dry out, add a dribble more hot water. Meanwhile, remove the venison from the fridge to come to room temperature. After 30 minutes of the cabbage cooking, add the blackberries. Continue cooking, uncovered, for 5-10 mins until the liquid has evaporated and the blackberries have broken down slightly. Heat a frying pan until hot. Rub the venison steaks with the oil, then season. Cook in the hot pan for 1-2 mins on each side, then turn the heat down to medium and cook for 2 – 3 minutes further on each side, depending on thickness, for medium-rare. In the final 1 min of cooking, add the remaining jelly to the pan and spoon it over the steaks as it melts. Our venison came with a flavoured butter, which we used instead of the jelly. Remove the steaks from the pan and leave to rest for a couple of minutes before serving with the cabbage and mashed potato.